Malabar Gold & Diamonds, one among the largest jewellery retailers globally with over 220 retail outlets has inaugurated its relocated & bigger showroom at Udupi, Karnataka, India to accommodate the growing customer footfall. 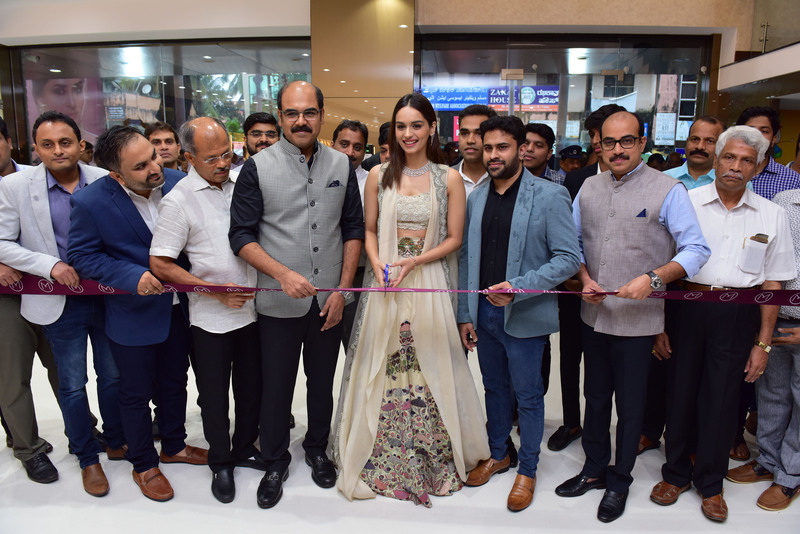 The relocated showroom, which is conveniently located at Geethanjali Shopper city, Geethanjali Road, Udupi was inaugurated by Miss World Manushi Chhillar on 07th July, 2018 in the presence of Malabar Gold & Diamonds, India Operations – Managing Director, Mr. Asher O, Regional Head, Mr. Iflu Rahman and other Heads of various departments along with the Management team members of the Group. The conveniently relocated new showroom is the Biggest Jewellery Showroom in Udupi and has a wider collection of gold, diamond, platinum and silver jewellery in bridal wear, party wear and casual wear designs along with branded watches. Apart from displaying jewellery specific to the culture and celebrations of Karnataka, the big and spacious showroom with plush ambience will enhance the shopping experience of loyal clientele, who have made the existing store their favorite shopping destination. Also there is ample parking space available.